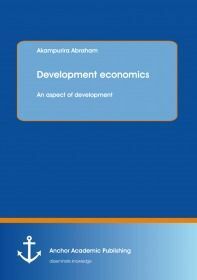 Development economics entail all the aspects of the development process especially meant for the developing countries to overcome the challenges that impede development. This can be through education, education and man power development, restructuring market incentives, incorporating favorable social and political approaches and practices among other factors. Human beings however need streamlined social and economic systems that are able to achieve development through major changes in social structures, national institutions, cultures and attitudes as well as eradication of poverty, reduction of income inequality and acceleration of economic growth. The developing world needs a multi-disciplinary approach and ideas so as to come out of the economic backward situation. Micheal, P describes that because of heterogeneity of the developing world, and the complexity of the development process, development economics must be eclectic, attempting to combine relevant concepts and theories from traditional economics analysis along with new models and broader multi-disciplinary approaches from historical and co temporally development experience of Africa, Asia, and Latin America. Debraj Ray puts it that development economics studies economics of the developing world and has made excellent use of economic theory, econometrics, anthropology, sociology, political science, biology and demography. It needs a lot more dimensional approach to understand it.